Ventured out the brexit thread have we. Are you starting this crap here in GD because you are banned in Speaker's forum or something? I keep reading headlines about how Labour is totally anti-semetic etc. but I'm yet to see any real evidence of exactly why? It just sounds like a right-wing witch hunt to destabilise the opposition. Honestly I don't get it and just have a massive sigh when it keeps coming on the news. Don’t be silly, there’s lots of things wrong with Islam. There’s lots of things wrong with all religions. Also, any religion that calls for you to be killed if you choose to leave it has a lot wrong with it. I've been saying this for quite a while. There are a number of false arguments that go on in todays age. 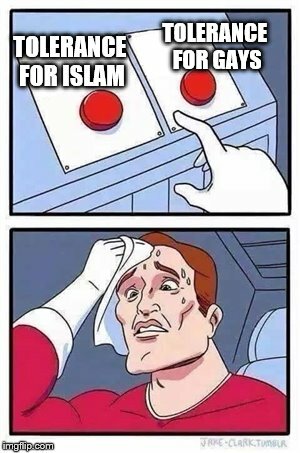 We have people on the Left attacking Christianity yet promoting Islam. When in reality Christianity and Islam are far more closer than the left/media portray them as. Catholics and Communists working together. Communists and Capitalists working together. Go on i will bite, everything is wrong with Islam it is abhorrent to me. The man is scum of the highest order. A lot of Muslim labour members have got themselves into mischief with some pretty unsavoury social media postings about the Jewish. Also most lefty's claim to be against anti-Semitism, as it's a "skinhead Nazi thing innit", yet will push the conspiracy that there's a Jewish plan to run the banks and pull the world's levers behind the curtains. I agree, exciting days in 1997, only vaguely remember it now but it must have been a big deal at the time. Could totally destroy anyone in a debate, impressive stuff, the Tories were totally destroyed by around 2003. If only the Iraq war haden't happened. The left supporting Islam is like Jews supporting neo-Nazis: completely and utterly nonsensical. It's only going to end in tears. 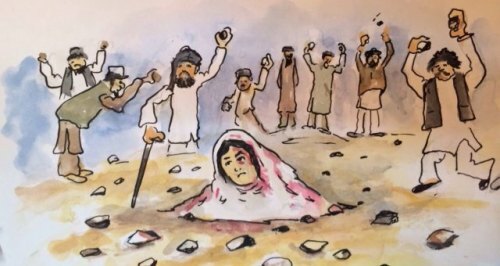 What's funny is that Islam is probably the only force that can stop the left's rampant degeneracy, so they're pretty much shooting themselves in the foot by supporting it.